Deborah Brown cannot count the number of roses she has received from grateful graduates. 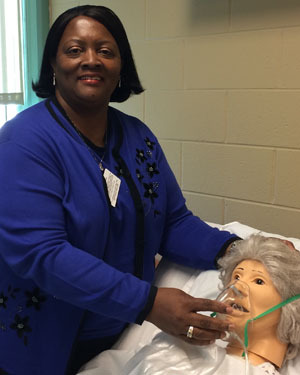 A registered nurse (RN) with a bachelor’s degree, the Macomb instructor believes her students appreciate that she offers them both candid kindness and mutual respect. During her nursing career, Brown worked at Harper, St. John, Oakland General and Providence hospitals. She was also director of nursing at an adult care facility and an educational coordinator for the American Red Cross. Her experience includes cardiac care, emergency room, labor and delivery, psychiatrics and medical/surgical. She came on board at Macomb in 2008 to develop its CNA curriculum. That pay-it-forward approach takes center stage in the section Brown teaches on caring for elderly patients, one of the fastest growing segments in health care. Adding geriatrics to the curriculum also had the intentional impact of extending Macomb’s CNA program a few weeks longer than most. Brown was recently recognized by the Macomb Career and Technical Education Administrators Association for the dual enrollment CNA program she coordinates at Armada High School. But neither receiving awards nor roses compare to discovering she had been the attending nurse at a student’s birth. Growing up in West Virginia, three hours from Washington D.C., Brooke Allen’s parents took her to more marches on the National Mall than she can count. No wonder she is a self-described “political junkie” and a recent recipient of an American Political Science Association (APSA) award. CQ Press publishes scholarly texts on American government and public policy and its annual award recognizes one political science professor who has developed a new way of engaging students in the political process. Past recipients have been professors from Northwestern and Indiana universities and the University of Michigan. That someone was Dr. Sherry Wallace, a political science professor at the University of Louisiana, who is developing a similar classroom project based on Allen’s success, which the Macomb professor attributes to her students. Allen continues to look for innovative ways to “show how what we talk about in class relates to their own lives.” There was an interactive video discussion with students from the University of California, Berkeley on the outcome of the last presidential election, which inspired Allen to add a unit to her classes on the impact of social media on election campaigns. Renoir labored in a porcelain factory, Brancusi was a domestic servant and Haring worked as a janitor. Likewise, Francisco Lopez can tell his Introduction to Art students about waiting tables in New York. “That was how I made my living,” says Lopez, who earned a master’s degree in art history from New York’s Hunter College. But, initially, the Edsel Ford High School graduate enrolled at Wayne State University to pursue a degree in engineering. That changed after his first survey course in art history. After he switched his major, he started considering both art history and teaching as callings. While at Hunter, Lopez worked in the art history department’s slide library, which helped feed his growing interest in art from the Byzantine and late antiquity periods. But, everything from impressionism to abstract expressionism also intrigues him and he gladly accepted a entry-level position in the visitor’s center at New York’s Museum of Modern Art, more for the experience than the supplemental income. Lopez lived in New York for six years before being offered a job in the research library at Dumbarton Oaks in Washington, D. C., an affiliate of Harvard University. A big part of the allure is that Dumbarton is known for its Byzantine collection and dedication to international studies. Lopez spent three years there before returning to Michigan to serve as director of International Student Services at the College for Creative Studies in Detroit. It was then that he began looking for teaching positions. Students in Kristine Mellebrand’s classes not only benefit from her years of advertising experience, but also from the example she sets by her can-do spirit. Mellebrand has been discouraged, in chronological order, from majoring in advertising, becoming a teacher and riding a Harley Davidson. For the record, she has earned two Detroit American Advertising Awards (advertising’s answer to the Oscar), has been teaching at Macomb for nearly12 years and is the owner of a custom-painted yellow Fat Boy, 2003 anniversary edition, which she brings out every spring. Like a Harley, Mellebrand’s career has been fast and intense. She earned a BFA in fabric design (her mom was a custom dressmaker) from the College for Creative Studies and a master’s degree in advertising from Michigan State University. She was the only woman among 65 artists “on the boards” at McNamara Associates, a preeminent design firm in Detroit, which was followed by jobs with a small ad agency, a production house and a public relations firm that counted Ford Motor Co. as one of its clients. But of all the jobs that Mellebrand has held, she says, it’s the one a former art teacher tried to talk her out of that she loves most. Brynne Barnes grew up in a house full of books and cut her literary teeth on the likes of Maya Angelou, Langston Hughes and Kahlil Gibran. But it was in the magical, illustrated world of children’s literature that she has found her true calling. “I was in college working on a project with other students, bringing meaningful literary experiences to kids in Detroit’s inner-city and I started thinking, I want to be a children’s books author,” relates Barnes. 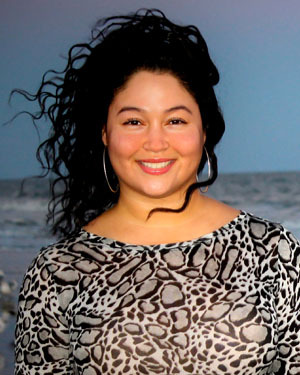 Her first illustrated children’s book, Colors of Me ,was published by Sleeping Bear Press in 2011 and earned her a Friends of America Writers Award for Juvenile Literature. Her second book, Books Do Not Have Wings, was released late last year by Sleeping Bear. 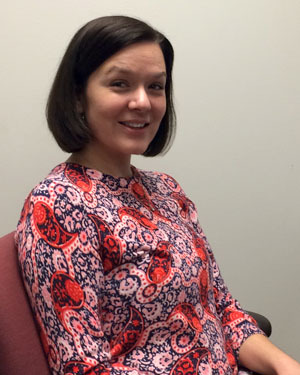 Before it did, however, Barnes began teaching, starting at Adrian College before joining Macomb’s English faculty five years ago. 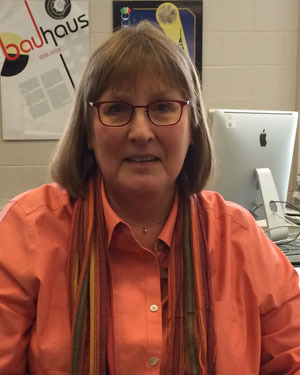 At Macomb, she teaches college composition, children’s literature and developmental writing and tries to impart to her students the same encouragement she received. And if her students were to read only one book, which one might she recommend? Jessica Sitek has witnessed Christian preparations for Easter in Spain, spoke with survivors of the Kurdish genocide during a five-month stay in Iraq, conducted a field study of how Islam interacts with other religions in Malaysia and observed Hinduism first-hand in India. 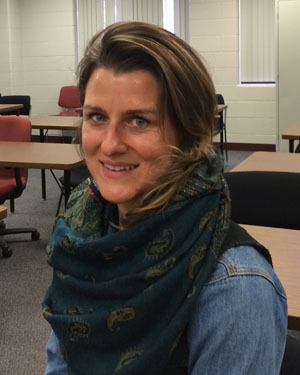 But while uniquely qualified to teach Macomb’s existing courses in comparative religions, the third-year instructor is currently developing a new one that explores the connection between food and religion. In developing the new course, Sitek enlisted her students in the creation of a recent library exhibit: Food and Religion: The Ethical and Spiritual Dimension of Eating. It was also part of her focus while a member of the first class of the KAICIID International Fellows Programme, an intergovernmental peacebuilding organization sponsored by the Republic of Austria, Kingdom of Saudi Arabia, Kingdom of Spain and the Holy See. In addition to sharing insight gained from the prestigious fellowship, field trips are also an important part of Sitek’s courses, including those to the Detroit Zen Center, Temple Beth El and Islamic Center in Dearborn. The trips are not mandatory, but many of her students choose to take part anyway.